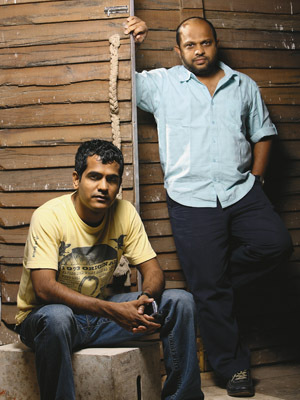 Agnello Dias and Santosh Padhi are the hottest creative stars in the ad industry. So why did they choose to sell a majority stake in their start-up Taproot so early in the game? 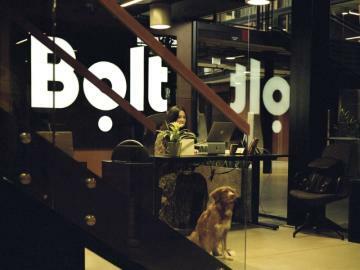 “We didn’t start Creativeland Asia as a broiler-chicken model, knowing one day we’ll need to sell and eat it.” As the founder and CEO of Creativeland Asia, a widely respected independent advertising agency often mentioned in the same breath as its more famous rival Taproot, Sajan Raj Kurup appears non-plussed. 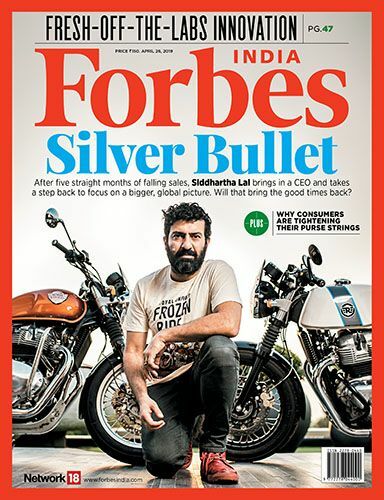 On August 29, Kurup and the rest of the advertising industry heard the news that their peers, Agnello Dias and Santosh Padhi, the founders of Taproot, were selling a 51 percent stake to Japanese ad conglomerate Dentsu. It wasn’t entirely a surprise though. After all, rumours had been swirling around for a while that a slew of independent hotshops like Taproot, Creativeland Asia, Beehive, Law & Kenneth, Saints & Warriors, Curry-Nation, Interactive Avenues and Scarecrow were being wooed by the large ad networks like WPP, Omnicom and Publicis. Yet, Taproot seemed to be on a roll. Founded by Dias, 46, and Padhi, 38, in 2009, the agency had in just a few years racked up critical acclaim and awards for its campaigns for clients like Bennett, Coleman & Company (which publishes The Times of India), Bharti Airtel and PepsiCo. And, like Kurup, Dias and Padhi also liked to set the rules of the game. While the majority of large agencies consider a pro-bono pitch as standard operating procedure, neither Taproot nor Creativeland Asia ever made a formal pitch for a client’s mandate unless they were compensated adequately for their time. Besides, they charged clients, who moved from large agencies, a hefty premium for their creative work, often “multiples” of what the clients paid earlier, claims Kurup. That didn’t seem to deter clients though. Taproot had a waiting list of clients—something that was unheard of in the industry. So if things were really so hunky-dory, why did the two whiz kids of the ad industry sell out? What’s more, why did they pick Dentsu over its more glamorous peers like WPP, Omnicom or Publicis? The real answers could represent a turning point in the way large advertising agency networks choose to grow in the country. The fact is that large ad agency networks need creative boutiques in markets like India more than ever before. The action has been hotting up for a while now. “Senior executives of large agency groups have been visiting India every two to three months, armed with fat chequebooks,” says a veteran industry watcher who did not want to be quoted directly. Padhi says Taproot has held serious conversations with at least four or five other agency groups during the last year before deciding on Dentsu. “Practically every single group has talked to us for an acquisition,” says Kurup. The reasons for the acquisitive streak are all too familiar. Large agencies are desperate to lap up smaller independents because India and China, notwithstanding their numerous foibles, are growth markets for decades to come unlike developed countries where growth has tapered off. Independent agencies are readymade packages of revenue and client relationships that can be bought and added straightaway to their topline. At a more tactical level, these acquisitions are about getting access to highly sought-after creative talent. “There is a dearth of talent in India. 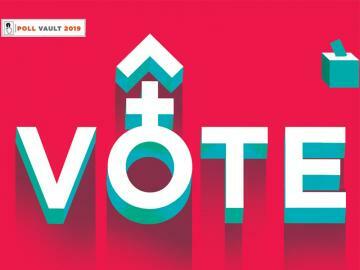 It hasn’t grown proportionately with the growth of the market,” says KV Sridhar, the national creative director at Leo Burnett. But the most strategic reason behind these acquisitions is the fact that large agencies are seeing more of their revenue and work get commoditised. Very few agencies had been able to generate any kind of pricing power with clients. This is something that Rohit Ohri knows only too well. He came out of JWT, where he headed the Delhi branch, to be the new executive chairman for Dentsu in India. “Our remuneration models should be based on our creativity, not on the client’s media spends or on the number of people on a project. We’re trading ‘bodies’ and ‘man hours’ instead of the impact or quality of our ideas,” says Ohri. The fierce competition among the large networks has eroded margins. “There is pressure on big agencies to do more work for less money just to sustain clients, as a result of which the quality of work suffers. But Taproot’s pricing is very, very premium,” says Sridhar. So why did Dias and Padhi decide to sell out? “It’s a fast moving world in which clients expect solutions to be provided overnight. You can’t do everything alone in such a world. After two-three years we realised that we are just creative guys, but we need support systems and expertise in areas like on-ground activation, digital, outdoor, etc. Having them in-house makes it much more easier,” says Padhi. For Dentsu and its peers, independents like Taproot represent the innovative business models and cost structures for the future, something legacy-ridden large agencies are incapable of achieving by themselves. 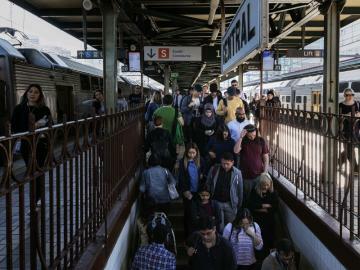 “Networks have over time morphed into large trains composed of one engine and many bogies. Taproot is only the engine. By going very lean on non-creative support services they’ve kept creativity paramount,” says Ohri. 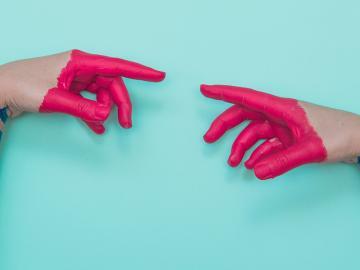 According to him, creative professionals form just around 40 percent of the employee strength of a typical large agency. 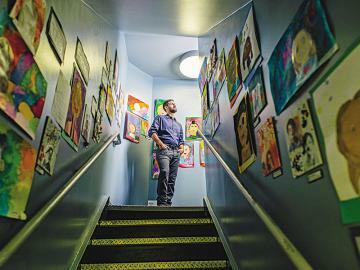 But of the 33 employees at Taproot, 30 are creative professionals. Now this worked well for Rahul Kansal the chief marketing officer of Bennett, Coleman & Company, arguably Taproot’s anchor client and the guiding force behind most of its award-winning campaigns. Kansal, who spent many years in advertising, heading agencies like Ogilvy, before moving to a marketing head role in media, says he’s comfortable dealing directly with creative folks. “Many clients like us increasingly have the competency to convert our marketing briefs into advertising ones. So we’re confident in dealing directly with creative folks within ad agencies without needing any account planning,” says Kansal. “My money isn’t being wasted to support a large agency infrastructure but instead goes towards buying better creative services. With the same money I’d get only mid-level creative talent in large agencies like O&M,” he says. Ohri says many of his clients too complain that large networks have lost their creativity within labyrinths. But even if the large agencies realise this, drafting a new structure isn’t easy. On the other hand, by all accounts, both Dias and Padhi have hired sensibly, built a good work culture and set high standards. “Sixty to seventy percent of the work on our account isn’t done by Aggie or Paddy [as Dias and Padhi are known within the ad industry] but by others. They’ve hired so well that every now and then when I see some brilliant copy and compliment them, they tell me it was written by someone else,” says Kansal. “Aggie and Paddy are the future structure of the agency,” says Ohri. According to multiple estimates from senior professionals within the advertising industry, Taproot was valued by Dentsu at Rs 60-80 crore. With its current annual revenue estimated at Rs 6 crore, that gives it a 10 to 12 times revenue-multiple valuation. Both Padhi and Ohri refused to validate or comment on those numbers. That Dias and Padhi were the sole and equal shareholders in the company was one reason for a valuation premium. 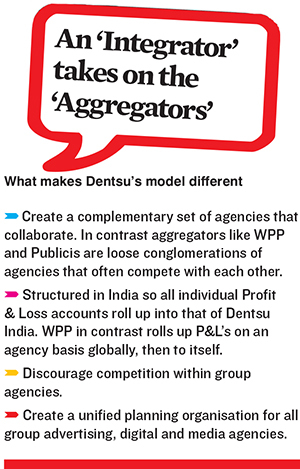 In the long-term and perhaps inevitable transition towards being a 100 percent subsidiary of Dentsu, the presence of multiple shareholders would always be a hindrance. While Dias and Padhi may have sold 51 percent of Taproot to Dentsu, they have retained management control. “This is not a merger. They’re [Taproot] going to keep their independence; their own brand and Dentsu clients will access them on their terms. It is an ideal deal in every respect,” says Sridhar with visible pride at the success achieved by two of his protégés—Dias worked nearly 20 years under him and Padhi 14 years. Ohri says Dentsu will only look to ‘support’ Taproot nationally with its existing bouquet of services around digital, media and activations. Plans to scale will be in stages spread over a three to five year period, with Taproot’s creative-driven model as the linchpin of that strategy. “Taproot has broken out of the vicious cycle of low fees, unmotivated talent and commoditisation. So anything that impedes that will not be part of our plan and we will grow at a speed that doesn’t bring down its creative quality,” says Ohri. 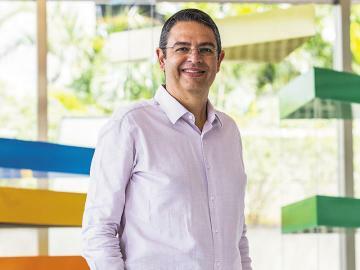 Tim Andree, Dentsu’s global CEO and the person widely credited with engineering the firm’s resurgence during recent years, is also learnt to have been keen on taking Taproot’s skills to other countries. It was Andree who piloted the acquisition of the six years old but highly acclaimed independent agency McGarryBowen in the US in 2008. Since then McGarryBowen has grown at a stupendous pace, nearly tripling its headcount and revenue. Like Taproot, McGarryBowen too had nearly all the large networks as suitors but chose Dentsu. It was a great buy that firmly established Dentsu in the US market. Over the next few years McGarryBowen would become one of the most admired and envied agencies, winning the coveted Agency of the Year award twice in three years. Its success prompted Dentsu to rebrand its European agencies early this year under the McGarryBowen brand. Padhi says he and Dias chose Dentsu over their other suitors for three reasons: First, they wanted creative freedom in their work, including that to choose (or reject) the clients they wanted to work with. 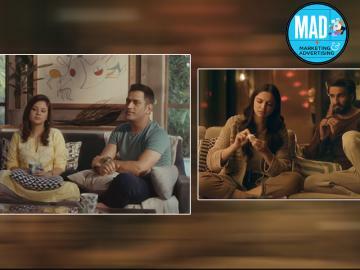 Second, they felt better at being the second agency for Dentsu in India as opposed to a seventh or eighth for one of the other larger networks. Finally, they felt Dentsu’s strengths in digital media were not just a complement to theirs in traditional media but a foundation for their own ambitions. “Sooner or later this country will be flooded with digital on which these guys are way ahead of anyone else. We want digital and design to be our future growth platforms so wanted to partner someone who will be useful in the future,” says Padhi. “As long as Taproot remains financially independent, they can demand premium pricing which will allow them to remain profitable and successful. 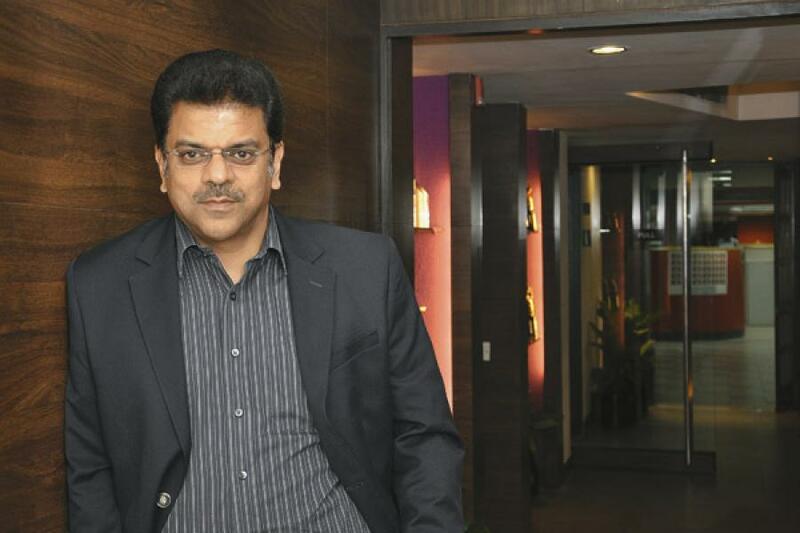 The day that stops, Dentsu will step in and start asking them to do boring work,” says Sridhar. Aggie and Paddy would be hoping that day never comes. The going seems all fine - what lead WPP to Aegis then WPP was perhaps the culture shock from JWT to call centre orientation, where the big wigs still lot of advertising sense left and opted for VRS even in the marketing side. It's really shocking. That's why all the big agencies are getting work sourced. Copy art maybe one fine day client servicing too. No dignity left in advertising today. Interesting that there is no mention of the deal value in this article.